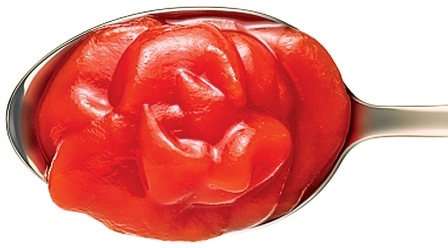 Ketchup is a tomato-based condiment with a tang contributed by vinegar, sugar, salt and spices. According to food.com, ketchup is said to have originated with ke-tsiap, a spicy pickled-fish condiment popular in 17th century China. British sailors brought ke-tsiap home; and throughout the years it included anything from nuts to mushrooms. It wasn't until the late 1700's that New Englanders in North America added tomatoes to the blend and it became what we know today as ketchup. Ketchup is also called catchup, catsup, tomato sauce and red sauce. While tomato ketchup does contain high amounts of tomatoes, a delicious healthy fruit, it also contains quite a bit of salt and is in genral high in sugar and/or high fructose corn syrup. 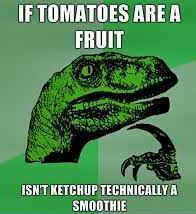 That said, unless you're eating abnormal amounts of ketchup, it really can't harm you. "The Ketchup Song" is the English title of the song "Aserejé" recorded by the Spanish pop group Las Ketchup, which was an international hit in 2002, unfortunately it had nothing to do with ketchup. Banana ketchup is a popular Philippine condiment made from mashed banana, sugar,vinegar, and spices. Its natural color is brown, so it is often dyed red to resemble tomato ketchup. Banana ketchup was made when there was a shortage of tomato ketchup during World War II, due to lack of tomatoes and a comparatively high production of bananas.